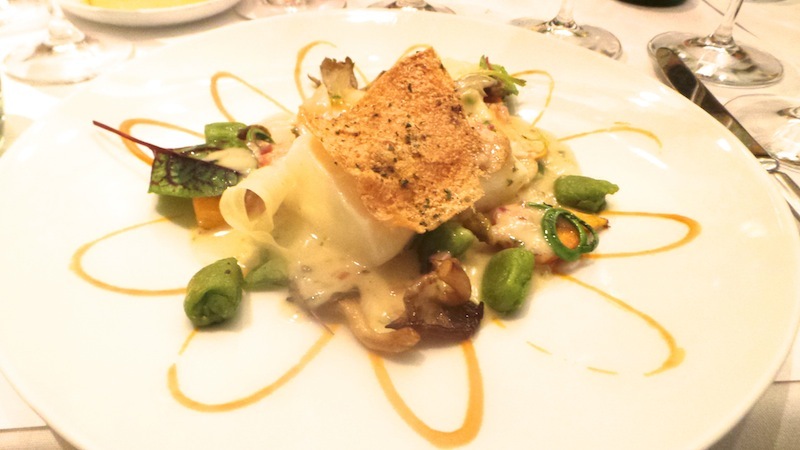 This fabulous dinner at Boulud Sud gave us an opportunity to check in on a handful of iconic, reference-point wines that define the essence of greatness. Boulud Sud features Daniel Boulud’s take on Mediterranean cuisine. A veritable melting pot of cultures comes together in food that reflects deep influences of northern Africa, Spain and southern France. The dishes are rich and deeply flavored, but also simple, a combination that is not easy to pull off. We start with the Mediterranean mezze an assortment of hummus, falafel and babaganoush served with flatbread that is almost enough for a meal. Gambas al ajillo and octopus a la plancha are flavorful takes on Spanish classics. My cous cous-crusted halibut is absolutely delicious. As for the wines, well, they are stratospheric. 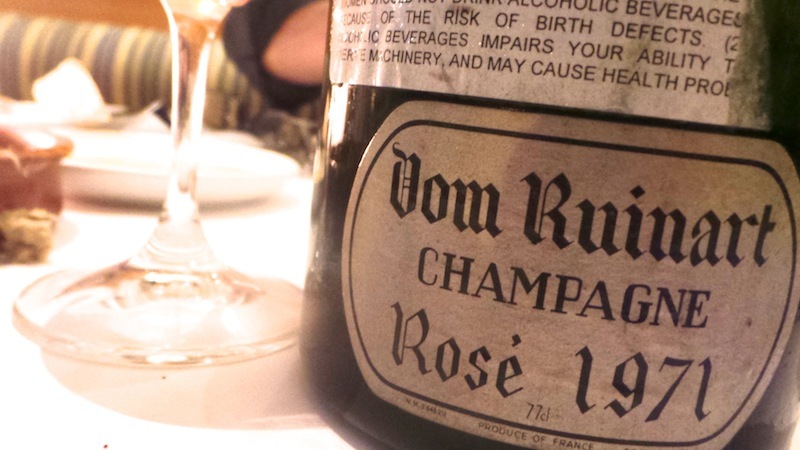 The 1971 Dom Ruinart Rosé is surprisingly deep, powerful and vinous. Sweet rose petal and crushed berry notes add complexity, but the 1971 Rosé is ultimately a wine of pure textural breadth. What a remarkable Champagne this is. Smoke, tobacco and wild herbs are some of the notes found in the 1971 Dom Ruinart. Another rich, powerful Champagne, the 1971 still has plenty of depth, if not quite the finesse of the Rosé. The 1979 Dom Ruinart Rosé is such a contrast to the 1971. Here the flavors are almost impossibly lifted and refined. Weightless and a totally polished Champagne, the 1979 Rosé is a real treat to taste, and, more importantly, drink! The 1979 Dom Ruinart impresses for its energy and tension, both signatures of this great Champagne vintage. Nuanced and beautifully articulate to the core, the 1979 is magnificent tonight. Well-stored bottles will continue to drink well for at least another handful of years. The pure vibrancy of the fruit is remarkable. Roumier’s 1983 Bonnes-Mares, from a very challenging harvest, is gorgeous. Autumn leaves, sweet tobacco and dark fruit notes abound in a Burgundy that is mostly resolved today, but in a great place to deliver maximum pleasure. Well-stored bottles will keep for at least a few more years, although there is no upside from further cellaring. Soldera’s 2006 Toscana Sangiovese races from the glass with intense, pulsating fruit. Deep, rich and impeccably textured, the 2006 simply dazzles from the moment it is opened. Rose petal, dark red stone fruits and sweet spices linger on the silky, impeccable finish. This is a great showing from the 2006. An exhilarating wine, the 2006 Toscana Sangiovese will drink well for many, many years. The 1961 Haut-Brion boasts unreal depth and richness. Smoke, game and scorched earth nuances abound in an explosive, viscerally thrilling wine that takes hold of the senses and never lets up. An immortal wine, the 1961 is simply magnificent. What else can I say? 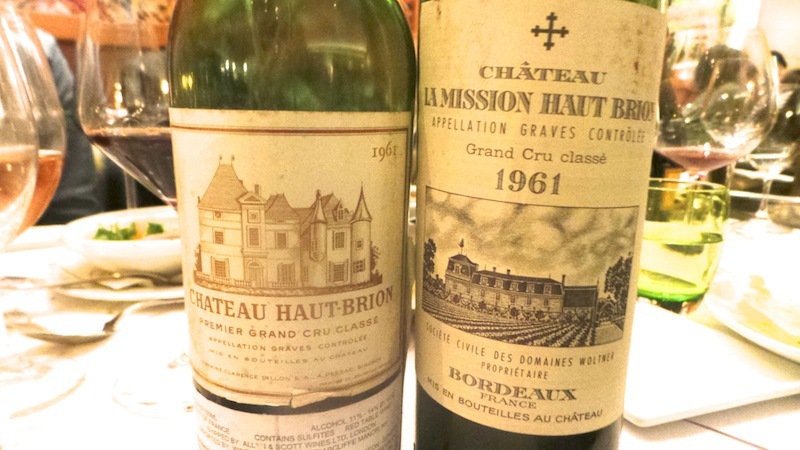 The 1961 La Mission Haut-Brion is even better. Layered and racy throughout, the La Mission leaves us speechless. Hints of violet, leather and sage add nuance over time, but it is the wine’s texture that is spellbinding. The rich, exuberant finish is simply unforgettable. What a treat it is to drink these two icons side by side.